Fred Astaire Dance Studio in Raleigh, the largest dance studio in the triangle and a franchise dance studio, has been teaching students to dance by using their award-winning curriculum since 1947. We teach a variety of classes for all ages and abilities from beginner through advanced dancers. Our lessons comprise both private and group lessons in Ballroom, Latin, Swing Dance, and Wedding Dance. 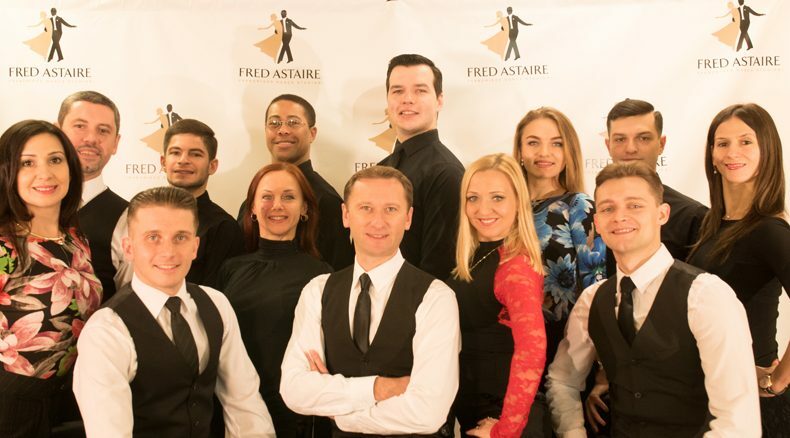 At the Fred Astaire Dance Studio in Raleigh, our trained professional dance instructors make you feel comfortable with any dance on any dance floor! Learning how to dance with us, is easy and fun! Most of our instructors that include both the owners, Yuriy and Oksana, have competed professionally and collected plenty of honors and awards. They have also won numerous awards and certificates of merit for their dance teaching skills. In addition of that, we are proud that many of our students have quickly progressed on to win their own honors and awards.